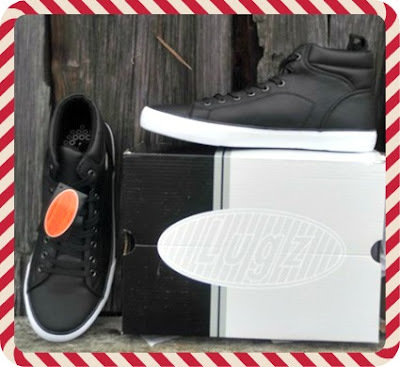 The hottest holiday picks to step into winter are currently available at Lugz. And the good news is there is still time to order for holiday delivery with awesome savings and sales. We are so excited to share with you our 2 holiday picks for the nice girls and boys on our list. Form and function combine to give the Women’s Mallard hiking boot a great all-weather look. This 6-inch duck toe boot features a durable rubber outsole, padded tongue & collar and Flexastride memory foam insole for added comfort and support. I bought Lugz for my niece a while back & she really liked them. They have so many colors & styles, too. I would love to win the WOMEN'S MALLARD. I think they would work for the few occasions that I need snow boots. My favorite is the MALLARD FUR Espresso/ Cream/ Black! They are so nice!!! I like the women's mallard boots. Having a memory foam insole will make them real comfortable. I lie the womans Mallard hiking boot!! I like the Women's Empire Hi Fur boot. It's been below zero for several days and going out without good foot protection is a recipe for disaster. I really like the Lugz Empire HI WR boots. There are about 5 different pair that I want to get. I like the Mallard boots that you got, too. I would love to get the King LX in the Black. My husband has a really hard time finding shoes with black soles like this, he would love them! I would love to win the Women's Mallard boot. I've been admiring the Lugz Mallard boots for a minute, i would definitely love to win them! 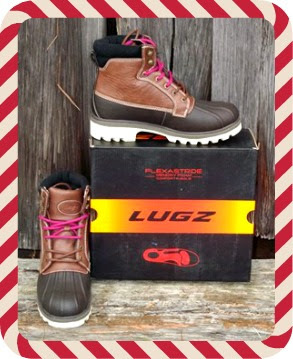 I have worn Lugz for a long time and the they have come out with some really cute boots. I like the Lugz Mallard boots in the brown. The Womens Mallards are too cute! I'm loving the WOMEN'S MALLARD! My favorites are the Lugz Empire HI WR boots. I also love the King LX. My younger daughter would really love the Lugz King LX. My older would like Lugz Mallard, we have very similar style. I like the Women's Empire Hi Fur boot. Look very warm. I like the Theta boots. Wish I had the Mallard boots right now with all the snow we got. I really like the drifters in blue or dark brown. Great for rainy or snowy weather! I don't know yet, the shoes I was interested in were either discontinued or out of stock. So many wonderful choices! would love to have the WOMEN'S EMPIRE Hi/Fur Black/ Black-Charcoal to keep my feet warm and dry! I would like the Mallards. These are nice looking boots. I love the Women's Mallard Charcoal/ M. Grey/ Black/ Crimson!! So pretty!! The Mallard Fur boots in espresso are really nice looking. I like the new Regent Lo for women in pink. I also really love the Women's Tambora Coffee/ Antique Brass/ Black!! Such a pretty neutral color!! The WOMEN'S ZEN HI in chestnut look SO comfy!! I really like the woman's mallard boots...but I would actually be happy with ANY of them! Thank you so much for this great opportunity! Oooh I love the WOMEN'S REGENT LO in Minty!! 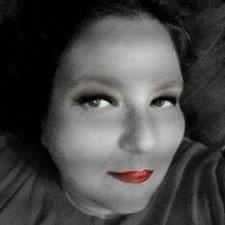 Great color!! I really like the Women's Tambora boot. They are super cute. The Womens Mallards boots are darling. I like that style. I love the Women's Tambora Boot in Coffee/ Antique Brass/ Black! I really like the LUGZ King XL Shoes in Black! Oooh I love the WOMEN'S LAUREL SPARK!! So pretty!! Women's Tallulah Hi WR Black boots are a pair I would love to wear. I would like to win the Women's Mallard boot. The Women’s Mallard looks great for bad weather.